Bailey’s Beach Shack. Games online. Bailey and Sarah are twins. 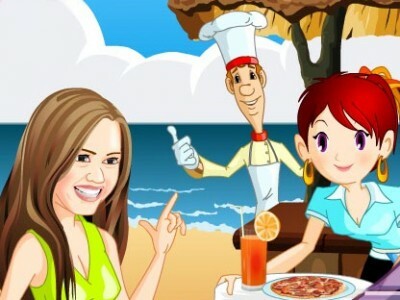 Sarah has just graduated form a cooking school and Bailey has opened a fast food restaurant on the beach to help her grandmother who is experiencing financial problems. Help Bailey and Sarah serve the customers fast and accurately and earn enough money.